There are some people who like to play up the notion of an intimate bond between the United States and the former British Empire. This should not be so. Think of the rhetoric surrounding World War II — “We had to intervene and stop Nazi Germany from taking over the world and committing genocide.” The truth to these statements is irrefutable. Hitler was an evil maniac who enslaved an entire continent and needed to be stopped. However, when it comes to genocide and imperial ambition, the British beat the Nazis to it. The Union Jack is stained with blood: the blood of genocide, that is — the genocide of Irishmen, Scotsmen, Boers, Indians, Australians, and Native Canadians. The war against Russia is currently the most discussed issue in the West. At this point it is only a suggestion and a possibility, but it can become a reality depending on the decisions taken by all parties involved in the Ukrainian conflict – Moscow, Washington, Kiev, and Brussels. I don’t want to discuss all the aspects and history of this conflict here. Instead I propose to analyze its deep ideological roots. 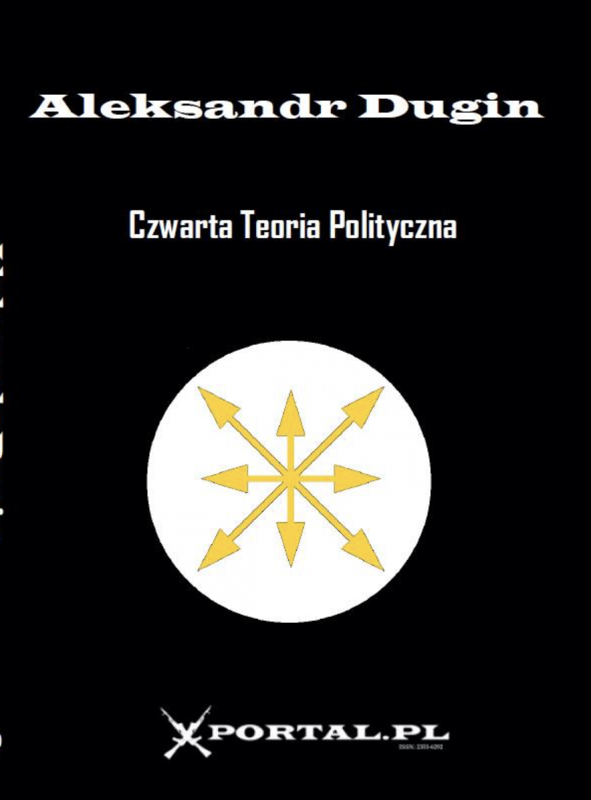 My conception of the most relevant events is based on the Fourth Political Theory, whose principles I have described in my book under the same name that was published in English by Arktos Media in 2012. Therefore I will not examine the war of the West on Russia in terms of its risks, dangers, issues, costs or consequences, but rather in an ideological sense as seen from the global perspective. I will therefore meditate on the sense of such a war, and not on the war itself (which may be either real or virtual). The concept people (le peuple, Volk) is according Alain de Benoist the subject of 4PT. That doesn't deny Dasein as subject, because Haidegger said "Dasein existiert völkisch". Being t/here exists as people, through people. To be is to be German, French, Italian, Hungarian, Serb, Romanian, Russian, Ukrainian and so on. We cannot exist without being some one - individual without content. It is machine, not human being. Machine can't exist (in Heideggerian sense). It is simply at hand. So "to be", "to exist" means to be ethnically, culturally, linguistically. Völkisch. Thus the dialogue among different people (each one of them existing differently) is our main goal. This dialogue between German and French, Russian and Polish or Ukrainian, Hungarian and Romanian, Croatian and Serbian is very very difficult and delicate. But we need to forward it and develop it. On the collective basis - not on the individual level as liberals suggest. So it is not peace, or tolerance, or friendship. It is understanding of other without necessarily identifying with him, preserving in this understanding our own identity. 1. We distinguish between two different things: the American people and the American political elite. We sincerely love the first and we profoundly hate the second. 2. The American people has its own traditions, habits, values, ideals, options and beliefs that are their own. These grant to everybody the right to be different, to choose freely, to be what one wants to be and can be or become. It is wonderful feature. It gives strength and pride, self-esteem and assurance. We Russians admire that. 3. But the American political elite, above all on an international level, are and act quite contrary to these values. They insist on conformity and regard the American way of life as something universal and obligatory. They deny other people the right to difference, they impose on everybody the standards of so called “democracy”, “liberalism”, “human rights” and so on that have in many cases nothing to do with the set of values shared by the non-Western or simply not North-American society. It is an obvious contradiction with inner ideals and standards of America. Nationally the right to difference is assured, internationally it is denied. So we think that something is wrong with the American political elite and their double standards. Why fascism was (is) wrong? Geopolitically speaking Land wins the Sea and only AFTER that its parts decide who is Heartland. If the inner struggle starts BEFORE the victory over first political theory (capitalism and anglo-saxon thalassocratic Empire of money and lie) or even if the communists are declared the enemy number one instead of liberals, the fascism helps the liberals to win and pushes the communists on the side of the MAIN EVIL. So the fascism was absolutely wrong here. These four points are essential negative moments. There were other less important as the theoretical weight. There were some positive moments: anti-capitalism, anti-materialism and other anti-modern features. That is valid for real historic fascism with all its terrible and fascinating (for some) aspects. Read more about Why fascism was (is) wrong? Historical events we cannot explain only by conscious intention of their protagonists. Also, not even solely with their personal characteristics and traits, although, of course, is not insignificant psychological structure of important historical actors, and their ideological or philosophical disposition. The new millennium dawning on the horizon of History suggests us a major paradigmatic upheaval, a reversal of the categories of thought that, at a time of extreme political and ideological confusion, requires a rethink. At the threshold of a new era, a new global disorder stands out: mankind must face the approaching of several cultural universes, pushed towards a collision and a mutual annihilation by the new world-wide perspective. Economy, designed according to bourgeois criteria, demonstrates its finiteness, projecting the future of humanity towards a peak of exploitation and alienation. Peoples, despoiled of any decision-making power and sovereignty, render any authority to minorities who direct world affairs according to their own interest. Cultures and religions die on the altars of postmodern simulacra. The new law is chaos. The Eurasian movement, which seeks to restore Russian power and prestige, is a form of National Bolshevism based on the geopolitical theory that Moscow, Berlin, and Paris form a natural political axis and potential power center. Alexander Dugin, the founder of the Eurasian Party, writes: The new Eurasian empire will be constructed on the basic principle of opposition to the common enemy: Atlanticism and the American New World Order. A multipolar world must replace the current unipolar world currently dominated by the United States. Much has been written over the past several years about the Russian university professor, Alexander Dugin, who has become a prominent Putin advisor although he has no official government position, nor in fact does he have the academic credentials to head the Sociology Department at Moscow State University. His advisory role as resident intellectual without portfolio appears to be based on his expertise in matters dealing with political philosophies and forms of government. Although the Russian Federation has a Constitution, the Government is quite new and untested in many regards. An intellect like Alexander Dugin could certainly be helpful in advising the President on the fundamental laws and principles that prescribe the nature, function, and limits of both the Russian and foreign governments. Europeans have frequently criticized the United States as a materialist society, but is not every society materialist? Is it not part of human nature to always to want more? You are right. In that sense I would say that today we are all Americans. And it is true that the desire to have more is part of human nature. The difference is that much of European religion and philosophy are based on values that are more important, on the belief that for moral or religious or philosophical reasons, we must not submit to greed and to the appetite for wealth. This was different in America because of the protestant Calvinist idea of the elect—God shows his approval by giving wealth. You know Max Weber’s theory of the link between Protestantism and the rise of capitalism. I think these things make a big difference. In Catholic countries money is always suspect—even though everyone wants more of it rather than less. You can see that in the fact that in France it would be impossible for a wealthy man to be elected head of state. No one would vote for a millionaire. The idea would be repulsive. But in America if a candidate is a millionaire it shows he is a success and has ability. So in Europe people hide what they have. They don’t say how much they earn. In America there is a passion for numbers, and everything is a calculable quantity. Americans know how much they paid for everything. When American tourists go to the Eiffel Tower they ask, “How many steps to the top?” They do not understand the difference between quantity and quality. Why, then, democratic? Marchart provides the best answer to this question. In Democracy and Minimal Politics: The Political Difference and Its Consequences (2011), Marchart argues that democracy, understood as “the meeting point between a political and an ethical logic”, is the regime that relates to the “irresolvable contingency of social affairs” such that “the absence of an ultimate ground of the social…is institutionally accepted, even promoted". Democratic politics or the politics of democratization is involved in the differential-political-ontological process of founding and instituting itself, on one hand, and constantly subverting itself, “deliberately undermining the very foundation it seeks to institute”. For Marchart, democratic ethics is as such unpolitical, inasmuch as it recognizes its own groundlessness. However, the necessity of ongoing re-founding renders it an “antinomy”. This positive account of democracy’s inherent self-criticism resembles somewhat Derrida’s arguments in favour of “democracy to come”. Of course, we might fairly ask whether the isomorphism of the democratic antinomy to the “play” of differential political ontology is a good enough reason to be democratically oriented; but our own thoughts aside, this reasoning does underlie the HL’s democratic politics, at least in some cases. This current is comprised of an array of concepts – among them aristocracy, warrior-caste, tradition, particularity, reverence, and honor – and thinkers – such as Friedrich Nietzsche, Martin Heidegger, Joseph de Maistre, Johann Herder, Georges Sorel, and Julius Evola. According to Professor Dugin, there have been three distinct ideologies since the dawn of the modern age – Liberalism, Marxism, and Fascism – and we are now moving into the era of the Fourth Ideology. Dugin clearly hopes that he can influence how this turns out, but this is a paradoxical belief because underlying Dugin’s ideas is the notion of a kind of natural progression of ideologies. This deterministic pattern is apparent if we consider the subjects of the three ideologies, which are, in ascending order, the individual, the class, and the nation. Dugin’s hope is that the subject of the Fourth Ideology will be Heidegger’s concept of Dasein, which, in its essence, is almost a kind of animism in that it is a rejection of the hyper-connectivity and hyper-standardization of modernity. The Present World is not something given. The world is something that is created in the process of human existence. We don't exist in the World as something taken for granted. Existing, we constitute the world by the very fact of existing. Modernity insists on the objectivity of the world. But the objective world can really be present – because in order to be present it needs to have being, it to has to be, to participate in the Being Essence. But the question of being demands a witness who must be a thinking, judging entity. Only the intellectual moment defines whether or not the world is present and by judging the presence it automatically constitutes the world as something present. So the world in order to be should be present and has to be installed as such. Having said that, there’s always the possibility that I have misinterpreted certain parts of Dugin’s thesis, but this is an inevitable risk when studying such an abstract work. But we should remember that Dugin's book is an invitation to a struggle, rather than a full dogmatic declaration of finished truth. Any predictions that Dugin might make in his work are attempts to articulate how the epistemological landscape might change, and not necessarily how such changes might affect human affairs. This is why the book can be a little hard to decipher at times, particularly when we consider its apparent lack of a central and cohesive overarching theme. 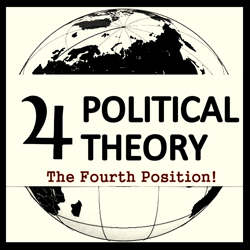 It is best to approach the "The Fourth Political Theory" as the marking out of a philosophical arena wherein new and more concrete ideas can develop in the future. Having said all this, it’s important to begin deciphering the book by first looking at its own proposed ontological subject: Dasein. Alexander Dugin’s book is a very timely work; by which I mean it is almost exclusively a response to the twentieth century—“the century of ideology” (p. 15) — from the twenty-first. It is a right-wing critique of modernity that has learned its lessons from left-wing post-modernity. It joins a flurry of works in a similar genre of post-war “alternative politics,” spanning from Julius Evola’sFascism Viewed from the Right of 1964 to Guillaume Faye’s Archeofuturism of 2010. Authors can be Christian, neo-pagan, or atheist; they can be reformed fascists, “paleo”-conservatives, or Traditionalists. They all, however, seem to send the same message and understand the same thing about the present state of the Western world: everything that is wrong with the way we act is rooted in something desperately wrong with the way we think. It is, in many ways, set apart from the radical right-wing not only in conclusions but the quality of the authors. While some are certainly pamphleteers in spirit, there is a distinctly intellectual strain running through it all—exemplified by the Nouvelle Droitphenomenon in France. It should come as no surprise, then, that Dugin is Professor of Sociology at Moscow State University (as well as Chair of that department’s Centre for Conservative Studies).